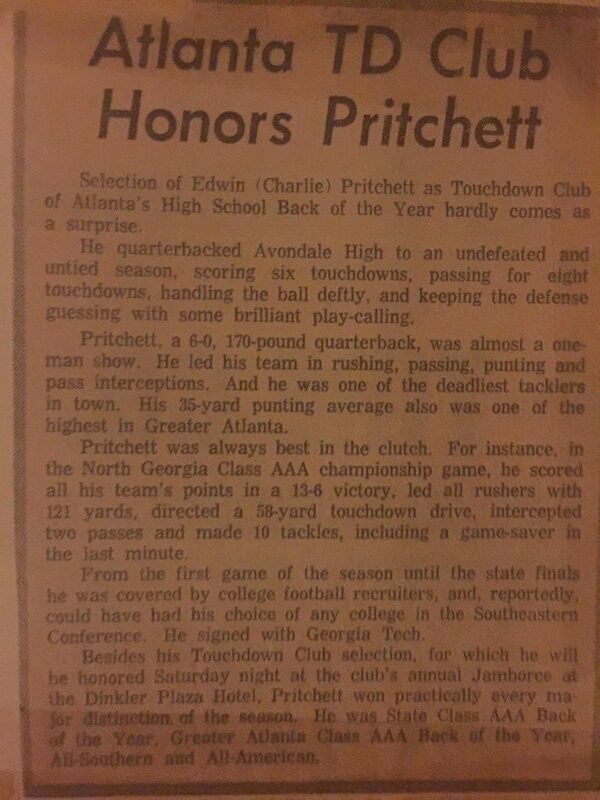 “If Avondale High football coaches had any idea they would get a players like Edward Pritchett, they would have added an extra floor to the press box. Pritchett, The Touchdown Club of Atlanta’s “High School Back of the Year”, brought the college coaches out early and kept them coming back week after week. He did it with some of the greatest feats ever seen on a high school football gridiron. 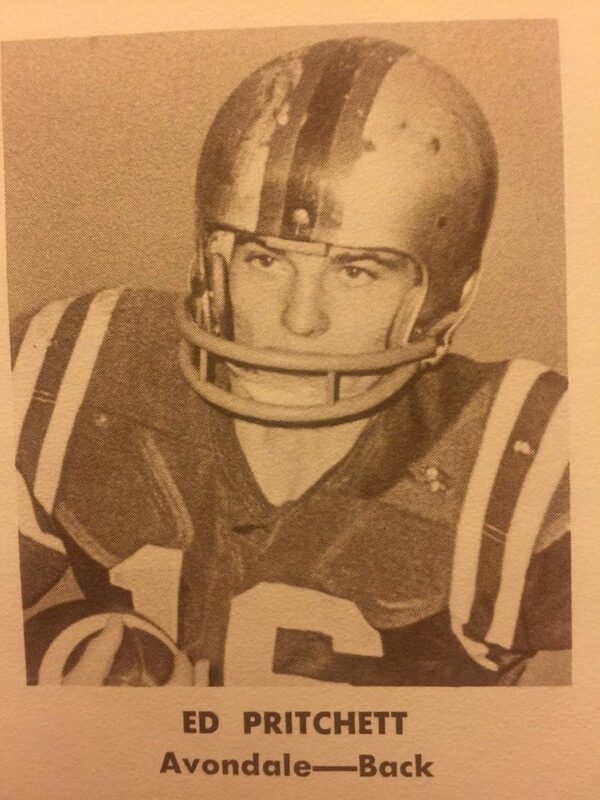 For instance, in the North Georgia Class AAA Championship game, he scored all his teams points in a 13-6 upset victory, led all rushers with 121 yard, directed a 58 yard touchdown drive, intercepted two passes and made 10 tackles, including a game saver in the last minute. 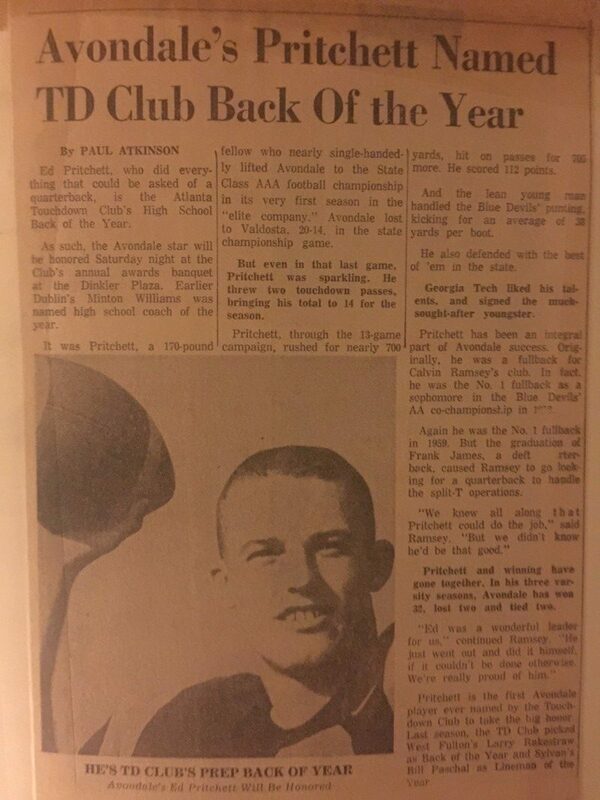 Pritchett, a 6’0″ 170 pound quarterback, was almost a one-man show. He led his team in rushing, passing, punting, and pass interceptions. And he was its second best tackler. He scored six touchdowns, passed for eight and posted a 35 -yard punting average. Pritchett has captured every major award. Beside his Touchdown Club honor, he was distinguished as Greater Atlanta Class AAA Back of the Year, State Class AAA Back of the Year, and All-Southern. 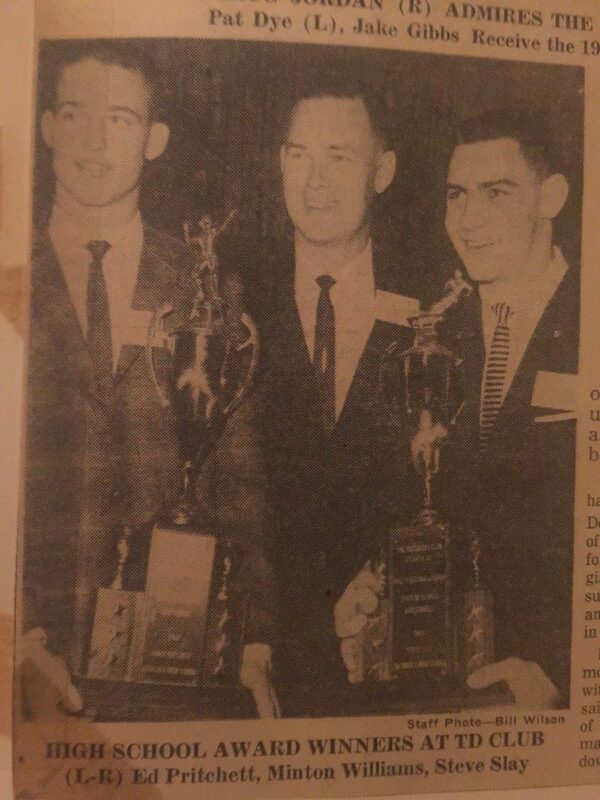 He has signed a grant-in-aid to Georgia Tech” -from the Touchdown Club of Atlanta’s 1960 Jamboree program. Pritchett would flip his grant-in-aid and attend FSU where he was starting quarterback for three seasons.